When people see me knitting or find out I write this blog, they often ask me how long I've been knitting (20 months), how I learned to knit (mostly by watching online videos) and if they're interested in learning, whether there are any tips I can give them. I always assumed that most of my readers are already knitters or crocheters, but a number of emails and comments I've had recently lead me to believe there are quite a few of you here who are just starting out or are thinking of taking up knitting as a hobby, and so this post is mainly for you and includes some tips - not of the "how to knit" variety, but the things I didn't really consider before I started. If you're already a knitter (and there are many readers here who are far more experienced than I) please do read on and add your own tips in the comment section below, I'd love to read your thoughts. Be prepared to make mistakes: It's important to remember that in addition to being a relaxing and productive hobby, knitting is a skill that takes a good deal of practice - when I'm learning new techniques and stitches, or even trying new needles, I make plenty of mistakes. Sometimes I also make mistakes doing the simplest of things (..... but luckily my skill in identifying and fixing - or bodging - the mistakes is improving all the time). I found it incredibly frustrating at first when things just didn't turn out how I expected them to and I wasn't always sure why. If you're not prepared to make mistakes, then this probably isn't the hobby for you - in my experience it's a huge part of the learning curve. Knitting shouldn't be a headache: This sounds really obvious but you’ll need to be able to see small stitches (close up), to read patterns, and when you're more adept, probably to watch TV/movies at the same time - all of which can strain your eyes. I didn't give this a second of consideration before picking up yarn and needles, but when I started knitting regularly I had lots of headaches. It was only during a routine vision test that found I needed a different prescription. If you feel like your vision could be a bit sharper, look into some corrective options from a reputable company like Acuvue and see if there might be a way of improving your short-range vision and visual perception of small details so you won’t have to worry about it once you start learning your craft. Crafting somewhere with good light will also be a huge help - poor lighting, especially when you're using small needles and/or dark yarn will make mistakes more likely. Get (a bit of) the right kit: Of course it would be madness to purchase a full set of expensive needles and a mountain of high quality yarn before you even know whether you will like knitting, but after buying a pair of horrible (thick and heavy metal) needles and the very cheapest yarn, which kept splitting apart when I tried to knit it and was incredibly difficult to undo when I made mistakes (see above), I almost gave up before I began. It was the gift of a small set of good needles and a ball of still-cheap-but-better-yarn for Christmas that really got me excited, because they just made it so much easier to learn - I used those to make a doll's hat. It was so much easier with these, I made my first trip to the not-so-local LYS and bought a skein of lovely yarn (for about £8) to make myself a cowl. After that I was hooked! For the price of a cinema ticket I got hours of enjoyment and practice AND ended up with a wearable garment. I'm not saying you should all rush out and buy the most expensive yarn, but that while the cheapest in the shop may seem like good value, I think it's a false economy for learning to knit because it can be much harder to work with and is unlikely to give the results you want. Buy something you really like and that you'll want to wear and you'll be much more motivated to get it right. Find a mentor: You can teach yourself to knit from books, and there are LOADS of great videos on the Internet (I've listed some of my favourite links here), but at some point it's likely there will be an issue you'll need help with (for me it was usually figuring out where I'd gone wrong when I got to the end of the row with too many stitches.... or several missing). It's much easier, and less frustrating, if you can get your answer from a real person. Not only can this help you to develop basic techniques more efficiently, but it may also give you some shortcuts and tricks that will be useful as you progress. If you don't already know anyone, there may be a local knitting group you can join, or a class run by a professional teacher - if you can't find a listing in your area, ask at the local yarn shop. It's not a race: One of the most important tips I have for beginners is to take it slowly. Any activity that involves using your fingers in intricate ways involves a lot of practice, and it is important to slowly develop muscle memory. Think about other activities you use your hands for, whether it’s typing on your computer, playing an instrument, or even something simpler like tying knots. Each of these activities goes slowly at first, but the more you practice, the more quickly your fingers move in the ways you want them to. Taking it slow at first with knitting will allow your fingers and muscles to become accustomed to the movements so you can become quicker later. Who knows, you may even become ambidextrous! And finally, it's addictive: I'm sure that if you're reading this blog, you've already figured it out, but I feel any 'Preparatory Tips' post would be misleading if it didn't include this point! Once you're bitten by the bug it's quite likely that your friends and family will think you've gone a bit.... mad obsessed. If this is the case, I'd heartily recommend the hilarious book Knitting Rules! by Stephanie Pearl-McPhee (aka Yarn Harlot) which will be sure to make you feel a whole lot more 'normal'. Excellent post, your so right about good quality yarn I love Debbie Bliss its so soft. I'm my son Linus' (22) tutor. He came over two days ago and wanted to learn how to knit (something green). He said he had always wanted to but he and his classmates had been too stupid to be taught. They had to stick to crochet. Anyway. He sat, saw and did it! We will see how long it takes him to finish his shawl. I'm a very happy mum. Some excellent tips there. I hadn't realised that you've only been knitting for such a short time. 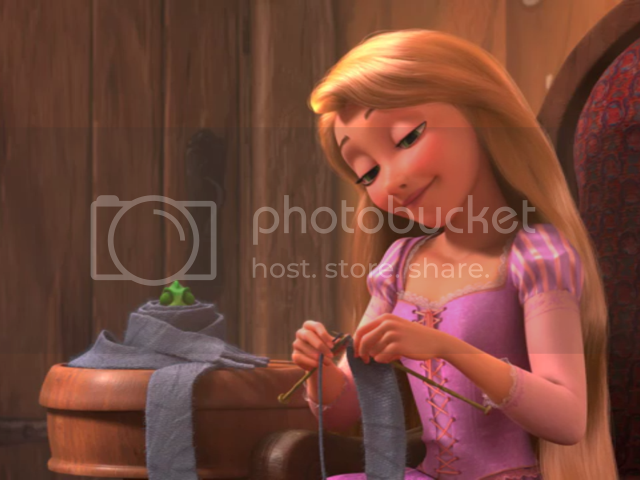 You have an air of somebody who's been knitting forever. Hmmm. Other tips. Well definitely make a copy of your pattern as little macaroon stated. I like to scribble notes and comments as I knit. Always carry around some notions. I have a pencil case with some stitch markers, cable needles, row counter, a crochet hook (for dropped stitches), scissors, measuring tape, tapestry needles, stitch holders, needle gauge, pencil, sticky notes. Oh hand cream to help keep your hands from drying out. Great post ... exactly the things beginners need to consider. I would add - to the other fabulous tips above - try not to tense your shoulders if you're concentrating hard, therein lies more pain than fun. I always tell the folk I'm teaching to take a breather every fifteen minutes and concentrate on relaxing their muscles. Love the soap idea, that's a new one on me :D Totally agree about the yarn file and the copies of patterns. I find safety pins really useful too ... perfect to catch a dropped stitch. Hadn't really thought about this before but haven't anything to add. Except that you can often pick up cheep knitting needles in charity shops which may be good quality. , definitely worth keeping an eye out for. I definitely agree with the 'use good materials' points. Once I discovered Nice Yarn (Malabrigo was my first) I COULD NOT STOP and it's been wonderful ever since. No way! You've only been knitting for 20 months? You are doing terrifically. These are all great tips! It's amazing that we've been knitting for roughly the same amount of time. 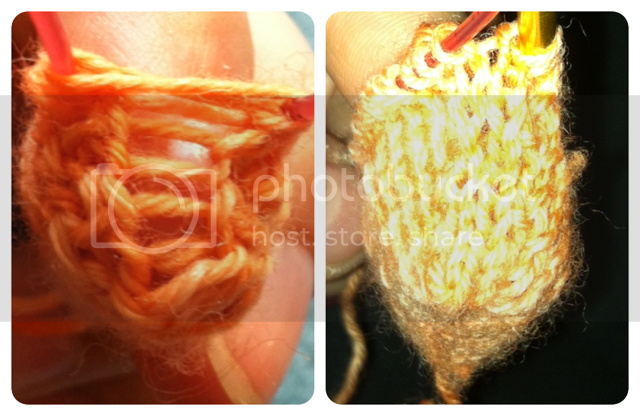 I am new to knitting, only 2 years. First, my sister suggested I do one "mistake" in each piece. (Probably only the larger pieces.) She said that quilters do this as proof that no one is perfect except God. Second, I consider "corrects" i.e. ripping things out, to be practice. We cannot expect to get experience without practice even though we are anxious to get right into projects. I find myself using dish clothes to practice stitches, yet still get a usable product. Although sometimes strange looking, they still work on dishes!! My next project is a pretty, light afghan which will be my first adventure into a large, complicated pattern. I have done six practice squares with two similar patterns and five different yarns. Yes, not a race, more of a symphony of style, yarn, pattern and all the love we put into it. Just found your blog, hope it is still active. One of the best things I was ever told was to deliberately make a mistake or two in the swatch (and yes, always knit a swatch! ) and have a go at correcting it. You'll find out early if your yarn is really hard to unpick before it's situation critical halfway through a big project. If you know this you can use lifelines etc to minimise the pain.